«Because of his money» illustrated quotation. Malaria, free quote pictures for Facebook, Twitter, LinkedIn, Reddit, Pinterest and other social networks. 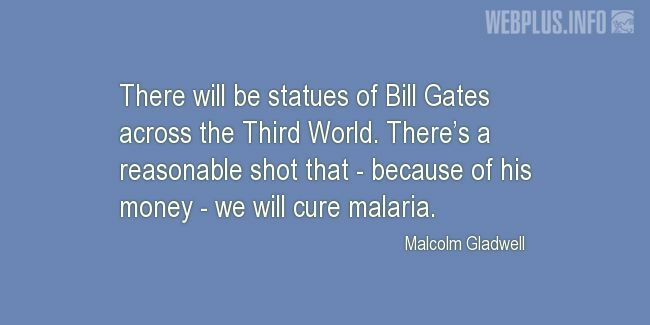 There will be statues of Bill Gates across the Third World. There’s a reasonable shot that - because of his money - we will cure malaria.